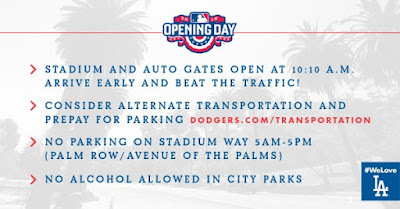 Much like last year, there are significant restrictions against tailgating in the parks in-and-around Dodger Stadium for Opening Day, tomorrow afternoon. I should also note that there is no tailgating allowed within the parking lot of the stadium. 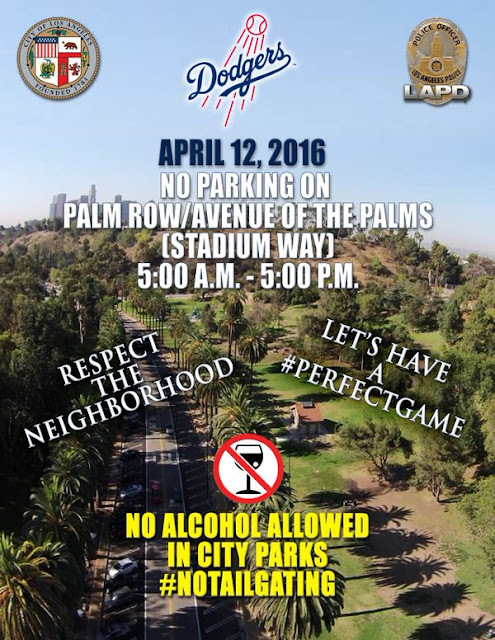 For the surrounding area, there will be a strict "no alcohol" rule and no parking will be allowed on Palm Row/Avenue of the Palms in Elysian Park. This is a street on Stadium Way that is between Scott Avenue and Academy Road. 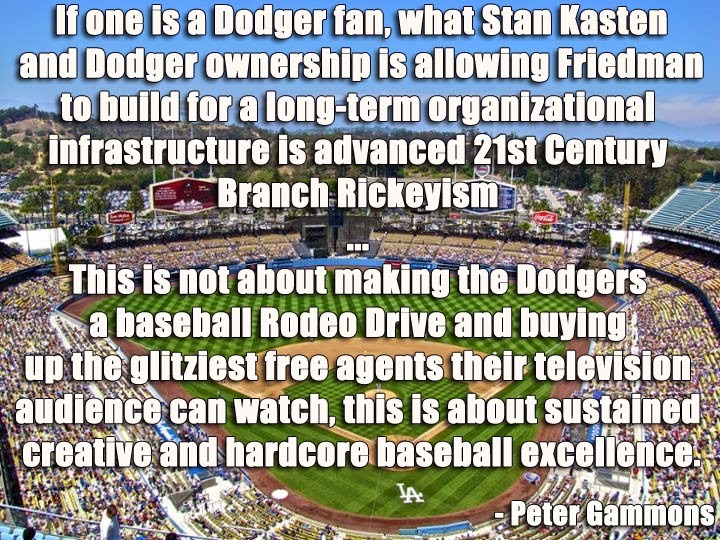 In years past this site would be the location of day-long parties on Opening Day, and the revelry oftentimes morphed into a general neighborhood nuisance.